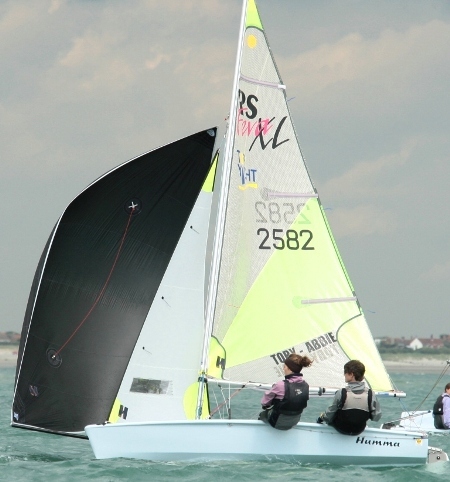 The RS Feva is a fantastic 2 handed boat for young or light sailors, with the excitement of an asymmetric spinnaker for the real buzz of planing at speed. The Club has boats available for hire – ask at the office for details – so you can try before you buy. Regular youth coaching sessions are run by the club, so whether you are an experienced Optimist sailor moving up, or new to the sport, we can help you get started. If you sail a youth double-handed dinghy which is not one of the CYC dinghy classes listed, get in touch and we will try to look after you with the Fevas.